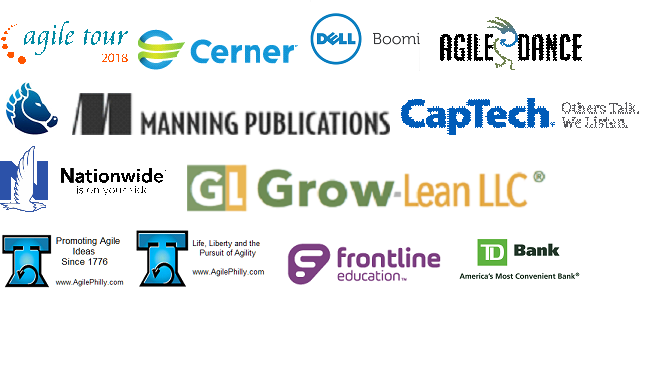 -- Previous years this event was fully booked in advance, so RSVP at the Agilephilly.com website soon. You must be registered at the AgilePhilly.com website to RSVP for this meeting. -- There is also a $205 charge for lunch. The talks and the fun are free. This year is Get 20/20 vision on 10/10 Last year was . . .
We still cannot say enough good things about this year's sponsors . . .